With a median household income of just over $37,000, Mississippi is the poorest state in the United States. A powerhouse organization promoting economic justice, Cooperation Jackson was born of a need to transform the state, in particular its capital and largest city, Jackson. Cooperation Jackson is a network of interconnected yet independent institutions including an incubator and training center, a cooperative bank, and a federation of established cooperatives. Together, they're exploring the potential of cooperatives to transform local communities. 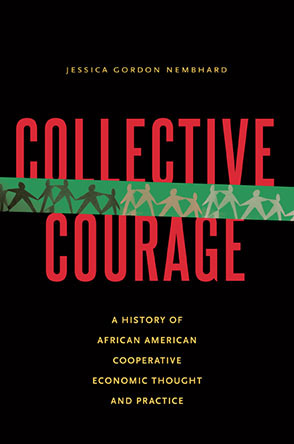 Cooperation Jackson is emerging as a leader in the global cooperative movement and the struggle for economic democracy. Among other things, the organization teaches people about the importance of worker cooperatives and how to create one. It recently hosted the Jackson Rising: New Economies Conference, to lay a foundation for the transformation of the city and establish it as a center for economic democracy. The event was a great success, attracting international attention and moving Cooperation Jackson further into the spotlight. Shareable caught up with Kali Akuno, Coordinator of Cooperation Jackson, to talk about the impact that the organization has had on the community, the challenges that it faces from political opposition, and how they’re planting the seeds for wealth equity in an impoverished region. Shareable: Cooperation Jackson consists of a federation of cooperatives, an incubator, a training center, and a cooperative bank. This pretty much covers the bases for the new economy. Can you talk about the plan for Cooperation Jackson and how it came about? Kali Akuno: Cooperation Jackson is the realization of a vision that is long in the making. The vision was produced by the Malcolm X Grassroots Movement and the New Afrikan People’s Organization and began to be operationalized in 2005, when these two entities started to develop a long-term strategy to transform the city of Jackson and the state of Mississippi. The vision is known as the Jackson-Kush Plan, and was made public in 2011 via a document with that same title. Cooperation Jackson is the manifestation of the solidarity economy aspect of that transformative vision. Cooperation Jackson has many ambitious plans. It would probably take a book to deal with them all. But, one of our primary objectives is to have a minimum of 10 percent of the jobs in Jackson be drawn directly from the federation of worker cooperatives that we are producing. And we are looking to have an even greater percentage of the city’s GNP being produced by Cooperation Jackson. How has Cooperation Jackson been received and what kind of impact has it had on the community? Cooperation Jackson is being extremely well-received by the vast majority of the residents of Jackson. People are enthused with our vision of job creation and distributing wealth in an equitable manner. However, not everyone is pleased. Unfortunately, many of the campaign contributors to the new mayor of the city are very oppositional to Cooperation Jackson, and the vision of justice, equity and equality that it puts forward. Without question, the arms that are open to us are far more powerful than the few detractors when they act as a unified front. But, the detractors presently control much of the economy of the city and region, so we have a fight on our hands. What’s the importance of creating worker-owned cooperatives, especially in Jackson? The most fundamental piece about creating worker owned cooperatives in Jackson is planting the seed for the development of economic democracy. Economic democracy will produce wealth equity, and in a city that is as impoverished as Jackson is, this is fundamental to the improvement of the living conditions and life chances of the vast majority of its residents. What successes has Cooperation Jackson had and what projects is the organization currently focused on? Our greatest triumph to date was successfully hosting the Jackson Rising: New Economies Conference, which was held at Jackson State University in early May. This conference raised the national and international profile and visibility of Jackson and it enabled us to train more than 100 Jacksonians in the basics of how to start a worker cooperative. Any outcomes or key takeaways from the conference that you'd like to share? The Jackson Rising conference expanded our network tenfold, has provided us with countless opportunities, and produced broad local, regional, national, and international support for our initiative, which is essential for our future success. You have a rich history of organization and activism, including working for the late-Mayor Chokwe Lumumba. What’s the connection between Cooperation Jackson and the mayor? What effect has his passing had on the community and the organization? Cooperation Jackson was originally designed to work in tandem with the Lumumba administration to incubate, educate, and help finance the startup costs for new cooperatives. The passing of our mayor means that we are having to kick-start our own development and growth without the institutional support of the municipal government. The loss of Mayor Lumumba was a hard blow to the community and a hard blow to the development of Cooperation Jackson. However, we firmly believe that the distributed leadership that existed within the social movements that we emerged from enable us to persevere and gradually overcome his loss. Yes! Magazine proposed that Jackson may now be the capital of cooperative economics in the South. Do you see Jackson leading the South in creating a new economy? Absolutely. We firmly believe that we can become the Mondragon of the South, and the U.S. for that matter, because of our strong social base in the community and our connection to the vibrant social movements in the city. Our connection with these forces provides us with many opportunities that do not exist in other cities in the U.S. Further, we believe that our geographic location provides us with a lot of opportunities to do extended regional, national, and international cooperative trade. We believe we are in prime position to do many things that have not been done to scale in the U.S. overall as it relates to cooperative development and solidarity economics. The greatest challenge we have is securing the resources to fully capitalize our vision. That is our challenge. But, we have thousands of individuals in our community who ready and willing to work to make our city a beacon of the cooperative movement. What are your thoughts on the growing global cooperative movement and what is Jackson’s place in it? We are pleased that since the economic crisis of 2007–2010 that more forces within the cooperative movement are becoming more in-tune and intertwined with the local and global movements for social justice, particularly the struggle to eliminate the gross wealth inequities that exist in the world today. Our experience in Jackson is centered on strong social movements being the driving engine for economic transformation and government reform. Our experiences over the last five years, we believe, can be very instructive to cooperators all over the country and the world, and we are more than happy to share our experiences with everyone. What’s the big picture vision for Cooperation Jackson? What would you most like to see? We would like to see Cooperation Jackson reach a significant scale and scope in relationship to the economy of the city and the region. Thus far, no cooperative in the U.S. has reached such a scale. We think that we can and this is what we want to offer to the movement. We truly believe that we can become the Mondragon of the South and we fully intend on realizing this vision. What advice would you give to people who want to start similar organizations in their communities? Everyone wanting to start an organization similar to ours needs to understand that it takes years, even decades to create the kinds of conditions that we have here in Jackson. This type of work isn’t instantaneous. So, be prepared to run a good marathon. And, make sure that you put socially just principles as the forefront of everything you do. This will help you reach hundreds, if not thousands, of people who are essential for creating something truly transformative. Be on the lookout for our first major business being launched this month. It’s called the Sustainable Communities Initiative. This initiative seeks to create a community land trust and a community development corporation that will help us launch several of our cooperatives, including a construction coop, a recycling coop, an urban farming coop, a childcare coop, and an arts and culture coop. Stay tuned for this initiative by visiting CooperationJackson.org. Finally, we’d like to add that we firmly believe that social conditions throughout the United States are ripe for the construction of economic democracy and we hope and encourage everyone to get involved in this fight with us wherever you are.